Microsoft’s Surface Pro could easily be the changing face of the portable computer. Thanks to its Intel i5 CPU and 4 gigabyte (GB) memory, it’s as powerful as an Ultrabook, and as portable as a tablet. The device has an HD (High Definition) screen with a USB (Universal Serial Bus) 3.0 connection, meaning you can transfer files to it without an adapter. The Surface Pro is a sleek device, tipping the scales at 910 grams, but when comparing it to an iPad it’s rather large. Essentially, it’s an Ultrabook in a tablet’s body, with a thin cut out along the back edge to allow heat to escape from the Intel i5 processor. Generally, the Surface Pro runs quietly and boots up quickly (thanks to a solid state drive). However, it does get warm while it’s under load, such as when benchmarking 3D Mark. Speaking of benchmarking, the Surface Pro also includes Intel HD Graphics 4000 Mobile GPU, so the hardware doesn’t allow high-end gaming. While the Surface Pro may not win any awards for its gaming performance, games look great on the 10.6-ich screen with a resolution of 1920 x 1080, and its full HD, meaning the video looks crisp and clear. The Surface Pro also has a kickstand, so you can prop it up and set it down to work or watch a video. The downside? The kickstand doesn’t work well on unstable surfaces. The Surface Pro can also be connected to an external display, as long as you have the necessary adapter. As great as the Surface Pro seems to be, many people are hoping to see the next version of the Surface Pro packing Intel’s fourth-generation Haswell chipset, and a larger solid-state drive. If you’re going to buy one, the 128 GB model is recommended, because you won’t have enough storage on the smaller one, unless you’re satisfied with using an external drive, cloud storage, or USB sticks. 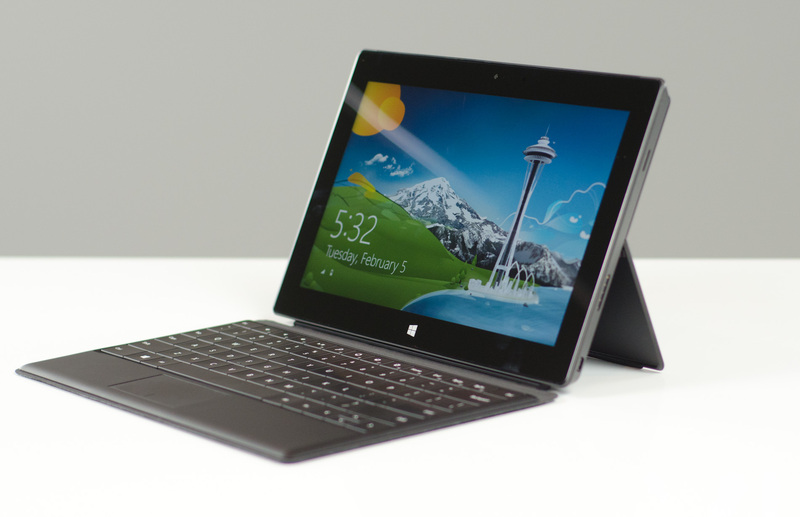 Surface Pro seamlessly combines the Ultrabook’s performance and a tablet’s form. Despite some minor flaws, the Surface Pro is fantastic, and some tweaking for the next version will sort out these flaws. Have questions on any Microsoft solution for your business? Call us today. We are your trusted Microsoft partner and we can help you get the most from your Microsoft technology investments.